Want the fake lash look without false lashes? 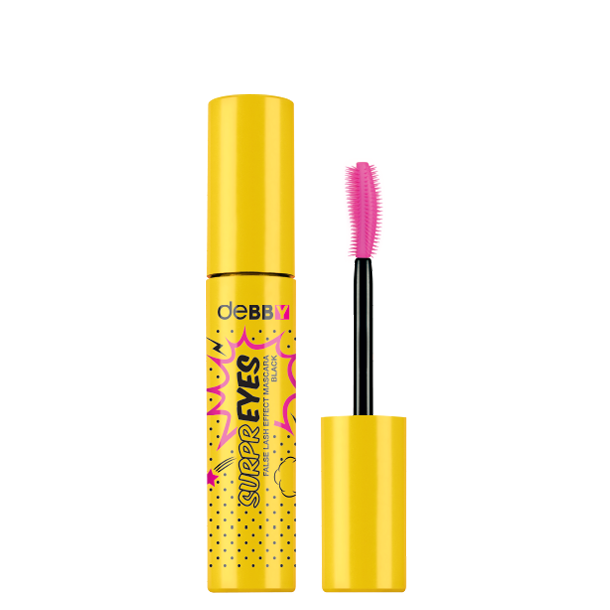 With SurprEYES, the volumising mascara, that’s what you’ll get! Lusciously thick, panoramic lashes with incredible curl thanks to the nifty plastic applicator brush. The combination of Carbon Black and advanced iron oxide pigments produces the blackest black mascara ever. IL090318P INGREDIENTS: AQUA, PARAFFIN, CERA ALBA, PROPYLENE GLYCOL, COPERNICIA CERIFERA CERA, TRIETHANOLAMINE, ACACIA SENEGAL GUM, PALMITIC ACID, STEARIC ACID, PEG-75 STEARATE, GLYCERYL STEARATE, TRIMETHYLPENTANEDIOL/ADIPIC ACID/GLYCERIN CROSSPOLYMER, POLYAMIDE-5, HYDROXYPROPYL METHYLCELLULOSE, RICINUS COMMUNIS SEED OIL, ACRYLATES COPOLYMER, GLYCERIN, HYDROGENATED POLYCYCLOPENTADIENE, HYDROXYETHYLCELLULOSE, NYLON-6, TETRASODIUM DISUCCINOYL CYSTINE, CELLULOSE, POLYETHYLENE, PVP, TOCOPHEROL, SODIUM DEHYDROACETATE, PHENOXYETHANOL, DECYLENE GLYCOL, SILICA, TRIETHOXYCAPRYLYLSILANE, CI 77266 (NANO), CI 77499.